Born in Israel in 1951 to french speaking parents, Isaac Maimon has become one of the famous and prolific artists of our time. His paintings of women in bold, bright colors can be found in galleries all over the world. Maimon attended the Avni Institute of Fine Art in Tel Aviv, the most prestigious academy for the arts in Israel. In 1980, Maimon began teaching at the School of Visual Arts in Beer-Sheba and later at the Kaye Art Academy. In the late 80’s, he became professor at the Ben-Gurion University in Beer-Sheba. His artistic interests have always been influenced by the Paris School of Art. 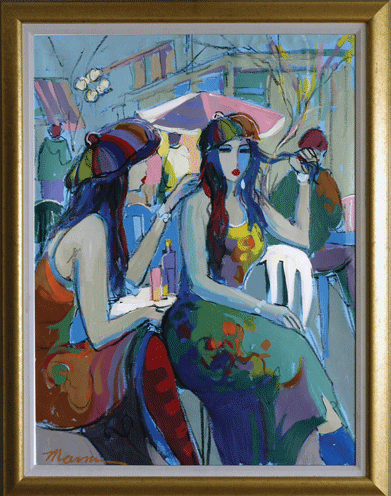 Mr. Maimon is a listed artist with auction records. His art has greatly increased in value over the past decade and has become highly collectable.